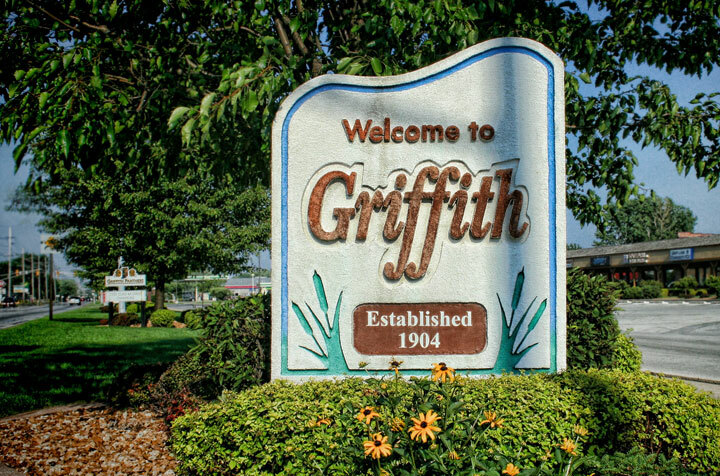 Griffith, Indiana is located in the northern portion of Lake County and has several minor claims to fame. Griffith is mentioned in the Christmas movie classic ‘A Christmas Story’ when the father reads a newspaper article about “some clodhopper down in Griffith, Indiana…”. Things are happening in Griffith. There is a quaint downtown on Broad Ave that continues to change and grow. Popular photos of Griffith, Indiana including downtown Griffith along Broad Ave, Oak Ridge Prairie County Park, Central Park, Hoosier Prairie State Nature Preserve, and more.